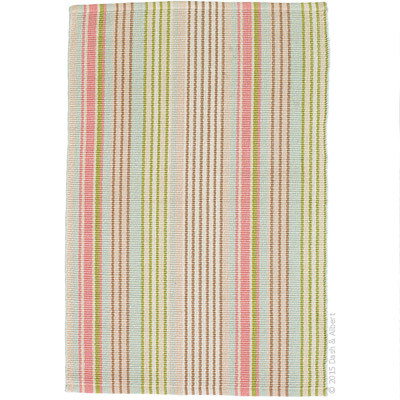 Dash & Alberts' woven cotton area rugs are so adaptable they make themselves at home in any room. Constructed using a hand loomed flat weave in durable 100% cotton, these rugs are lightweight, reversible and affordable. Ana Aqua Ticking Woven Rug is crafted by artisans committed to fair-labor practices.